On Friday April 19th and Monday April 22nd, we are hosting super-fun day camps for kids! Use this page to register and reserve a spot for your child / children. **NOTE** - if you are registering multiple children, please put siblings names in the comments box. You do not need to register them separately. For HALF DAYS - the fee for a half day of camp is only $20 per child. 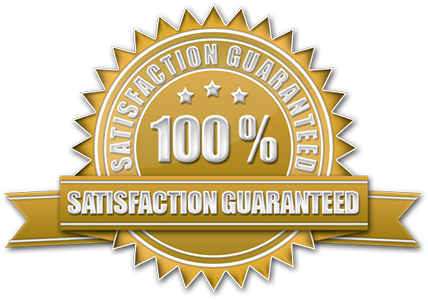 For multiple children, and/or for multiple half days, simply check the box for which day, and then select the number of half days you wish to purchase (quantity). The options for half day hours are: 8-12, or 9-1, or 12-4. Let us know your choice in the comments box. 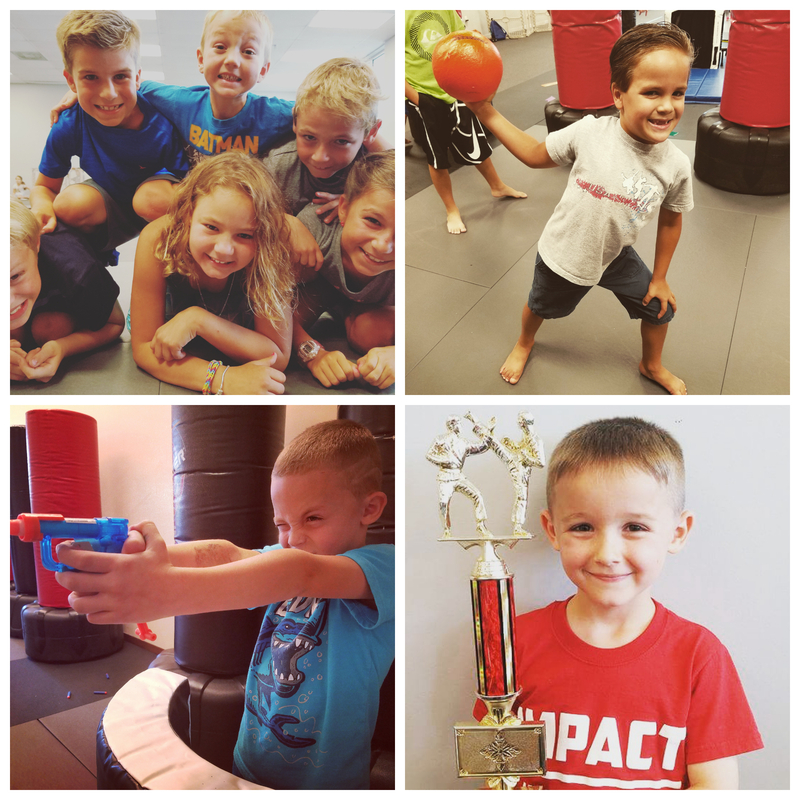 Our camp is full of high-energy games and activities that kids LOVE! We do things like: ninja obstacle courses ~ fitness olympics ~ crazy relay races ~ trampoline jump games ~ giant bounce house ~ martial arts lessons ~ indoor snowball battles ~ star wars sabers ~ freeze tag ~ simon says championships ~ punching bag challenges ~ crab soccer ~ super dodge ball ~ gymnastics basics ~ outdoor time (weather permitting) ~ karate board breaking ~ and more! We also do quieter activities too, such as: daily reading time (kids should bring their own books) ~ arts and crafts ~ paper airplanes ~ drawing and coloring ~ legos and building blocks ~ jokes and riddles ~ balloon games ~ awards and prizes for good behavior ~ social time for making friends ~ and more! Camp is open to children ages 4 and up. 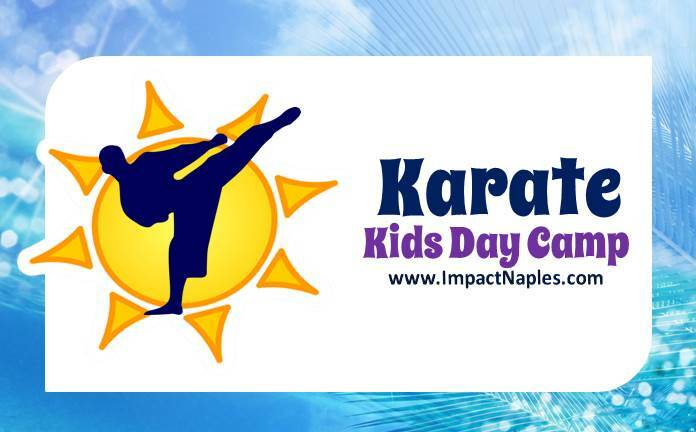 You do not need to be a student of Impact Martial Arts Naples to attend. Regular camp hours are 8:00 am to 4:00 pm. Early drop off and/or late pick up may be available by request. Children should wear comfortable clothing that they can be active in all day, such as shorts and t-shirt. Children should bring their own lunch and snacks (please inform us of any food allergies, just in case), as well as a book or two for reading time. Camp fee is only $30 per day, and family members / siblings receive an additional discount. Half day options are also available for only $20. Please register in advance so that we can guarantee your space. Parents are expected to follow morning check-in and afternoon check-out procedures. Children are expected to follow camp rules and keep up good behavior at all times.